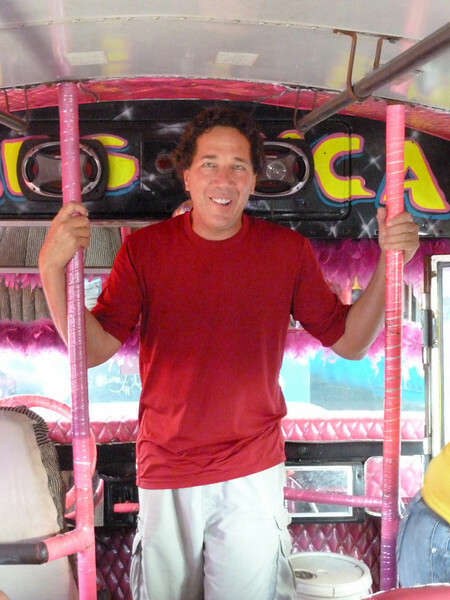 When I was in Guatemala, I rode everywhere on the Chicken Buses. 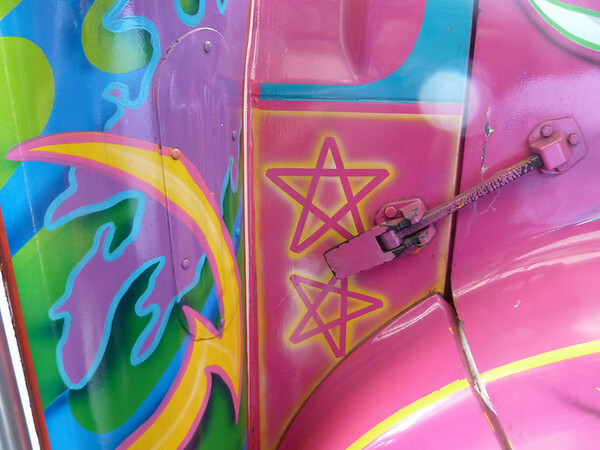 They were noisy, usually crowded, and the paint jobs were legendary. 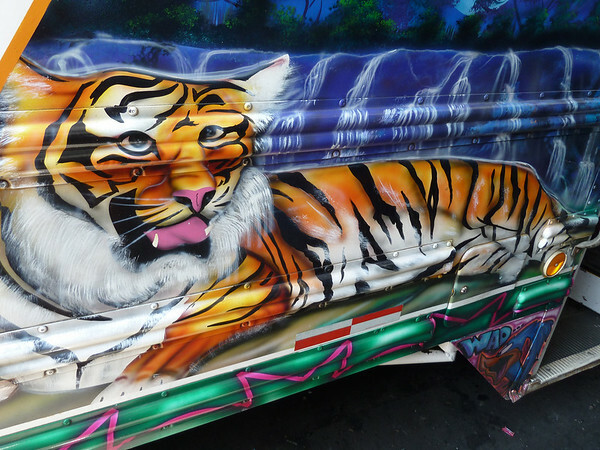 It seemed that every bus was in unofficial competition to see who could have the most outrageous paint, the most chrome and the wildest theme. Once I crossed into El Salvador and again through Nicaragua, these colorful behemoths of the Guatemalan highways and byways literally ceased to exist. Only rather drab buses for the most part were to be found. Then I left Panama City for Portobello to better my luck in booking a sailboat to Colombia. When I saw what was to be our transportation for the day, I broke into laughter and a huge grin. For a moment I thought I was back in Guatemala. The paint was remarkable. One of the highlights was the Bengal Tiger against a tropical waterfall background. We went inside to take a look around. 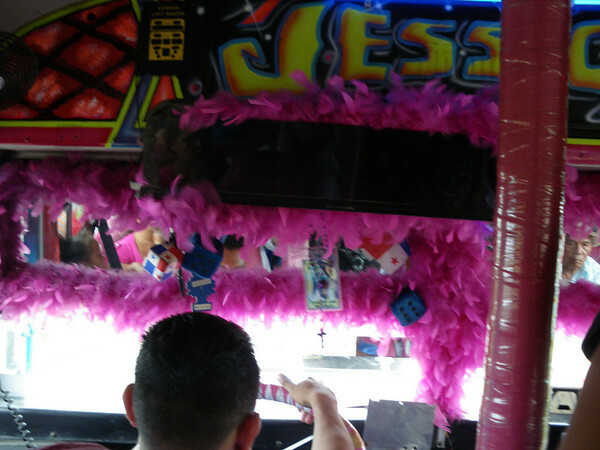 The interior was tricked out in hot pink tuck and roll with hot pink turkey feather boas for accent. 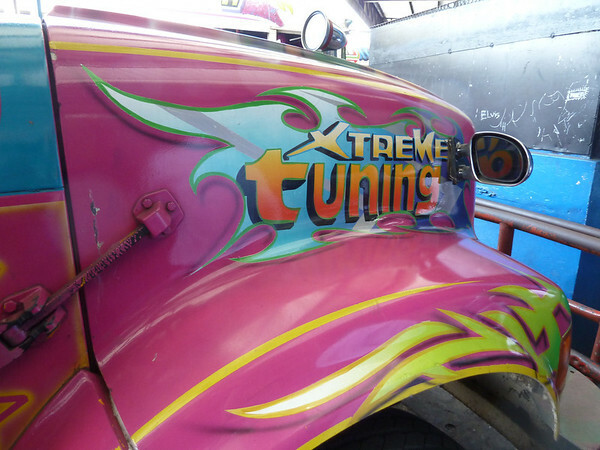 We had awhile until departure so I went out to inspect and appreciate more of the detail and airbrushing. Back inside, the atmosphere was becoming quite festive as we prepared to embark. To my friends in Guate, and you know who you are, fear not. 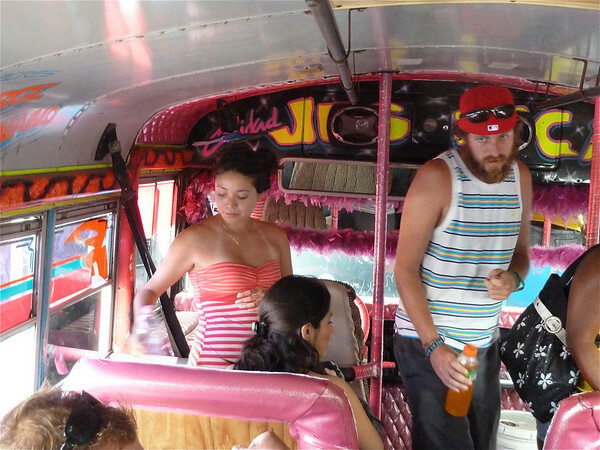 Panama has a long way to go before it supplants Guatemala as the Chicken Bus Capital of Central America. Nonetheless, it was a great day and a fun ride. Thanks Judie. Writing hiatus kapoot. Great pics! I too was impressed by the chicken buses in Panama. Stephanie – The Travel Chica recently posted..What Will It Be Like to Come Home? Thanks Stephanie. I enjoyed the flavor of your chicken bus story a few months back as well. Safe travels home! The Diablos Rojos are great in Panama. Unfortunately I never got a good picture of any of them. 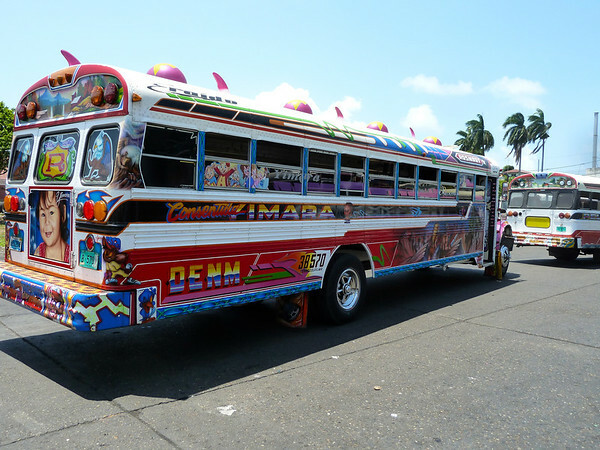 I only got to ride one during my visit–65 cents from Gamboa to Panama City. And it didn’t have such a great paint job. Also, the government is trying to replace them with sterile official city buses. I heard about that when I was there. It would be a shame to plasticize that experience. 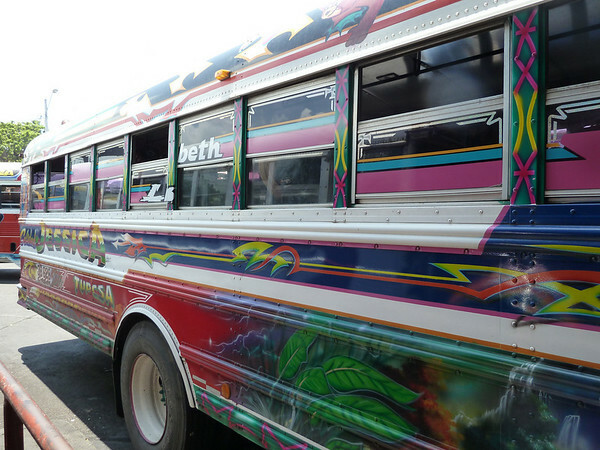 Although when it comes to incredible custom paint and chrome jobs, the Guatemalan chicken buses win hands down.